MoCCML mapping: an extension of OCL where newly introduced newly introduced Event properties can be add to the language concepts and where newly introduced behavioral invariants can make use of MoCCML constraints to restrict the evolution of the occurrences of the previously defined events . 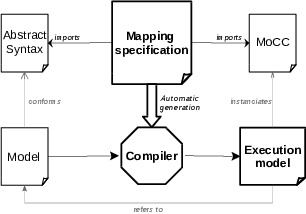 The behavioural invariants are defined at the language level and are used to automatically generate a language specific compiler. 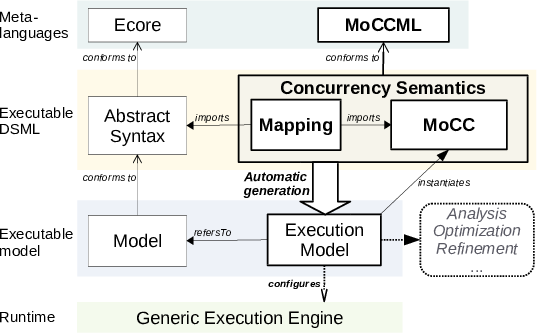 The compiler can be used to generate a CCSL model from any model conforming the language.